My faithful companion and I are heading back to the land of moose, mountains and musk ox this week. Up until today, when Jasmine had to go to the vet and get another health certificate (airline requirement), I’ve done little to prepare. I think that’s because I know all the pitfalls that are heading our way and there is no sense in fretting about them until the morning of our journey. 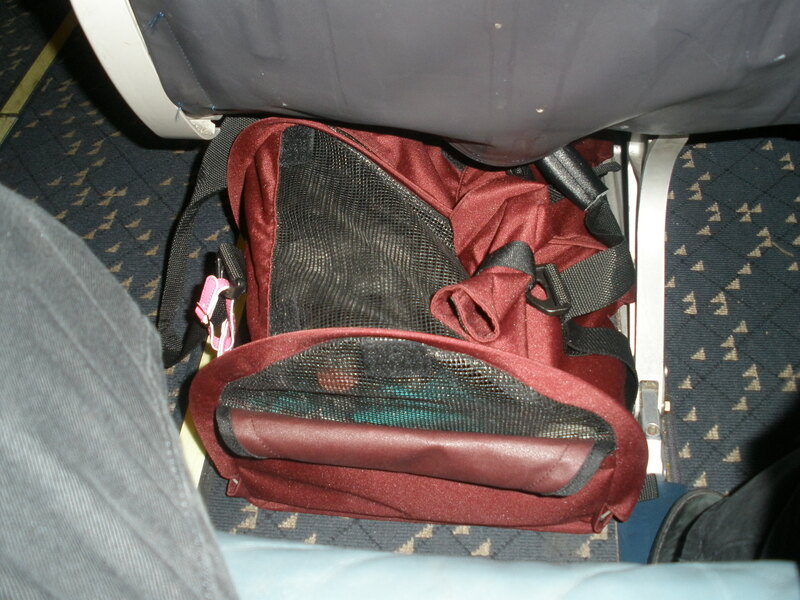 The biggest bump in the road is that dog carriers fit the best under the middle seat or window seat. This is not good for me since I have booked an aisle seat. You may ask why I would do such a silly thing. Well, here’s my answer….it’s a very long flight (7 hours) and I really, really, really want to sit on the aisle! Our first trip to Alaska I discovered the fact that the aisle seat is horrible for jamming (carefully placing) Jasmine under the seat. But, I was extremely fortunate that no one sat in the middle seat so I was able to put her under there and remain in my aisle seat! But I am not holding out much hope since on our return flight last May, the plane was packed, I had to switch to a middle seat, and the two people on either side of me NEVER moved the entire journey! Can you believe that?? Granted the plane leaves at 11 PM at night so a lot of people sleep, but these two yahoos hardly twitched a muscle for 6 and a half hours! But they did manage to steal both of my arm rests early on. Horrible, horrible flight! 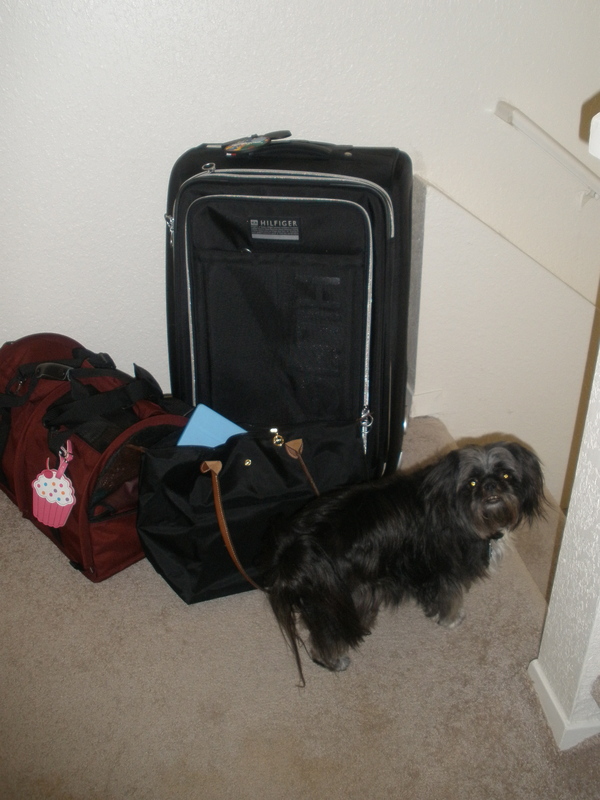 There are other non-fun things to think about as well….early flight, long drive to the airport, parking the car, shuttle to the airport, $100 pet fee, TSA….all this with a suitcase, pet carrier, large purse and only a small, black dog as a traveling companion. Is it any wonder I’m in DENIAL!? ….because if you really think about it who wants to think about traveling 7 hours in a tin can, squished between two strangers with a dog between their feet! Okay now I’m depressed…..is it too early for a glass of wine?? 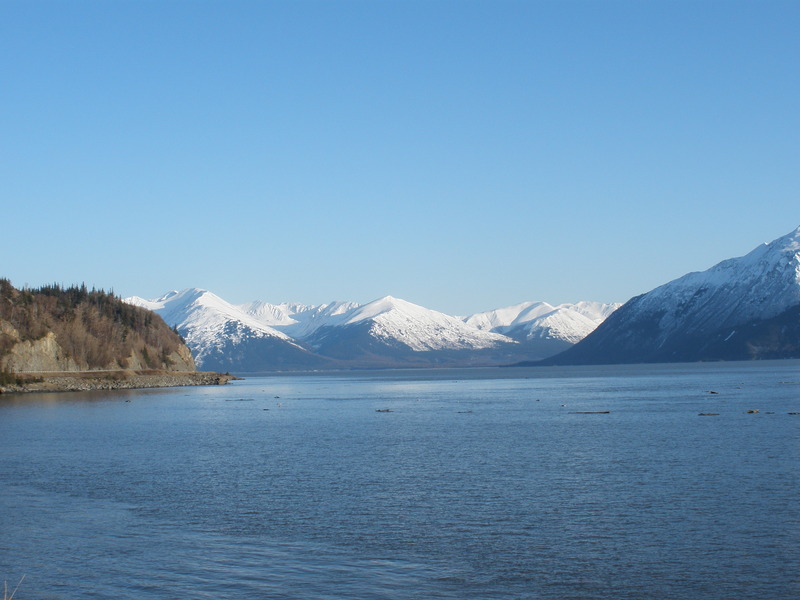 This entry was posted in Alaska, travel and tagged airlines, Alaska, Alaska Airlines, Anchorage, Dogs, flying, Pets, Travel, traveling with a dog by Tracy 'jottingswithjasmine'. Bookmark the permalink. Oh what joy, another visit already, don’t worry the travel bit will be over in no time and then you have all the pleasure of being there and that wonderful nature and family and books! Think about the destination, the rest will take care of itself, one thing at a time. 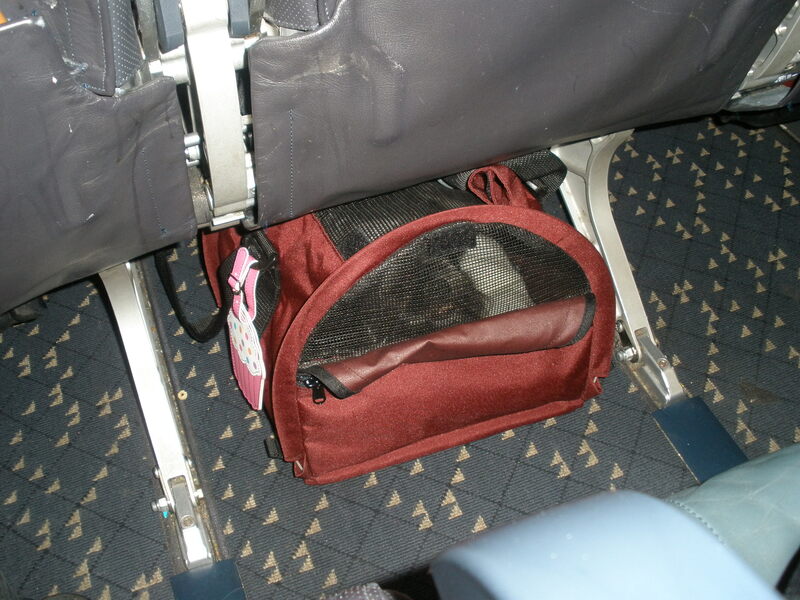 I can sympathize, as someone who frequently flies with an in-cabin dog… It’s not the most fun for anyone, is it? Here’s hoping everything goes smoothly for you and Jasmine! Thanks! I wish I could explain to Jasmine that she should be excited not scared because we are going to her favorite place! The Dog Whisperer I am not!